I think they are SO ugly but those Robeez (sp?) shoes stay on well. I go the barefoot route -- even though Simon says it is super trashy. P.S. 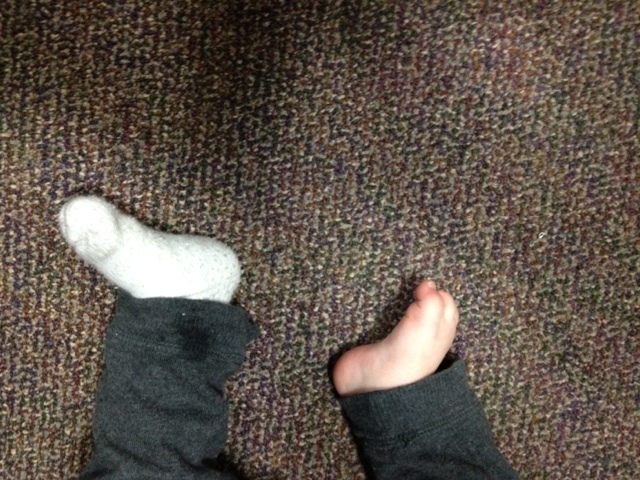 I found one of Jake's socks in our office.